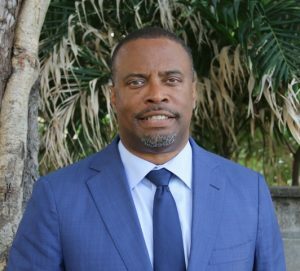 NIA CHARLESTOWN NEVIS (April 23, 2018) — The Caribbean Development Bank (CDB) is seeking to assist in the energy sector development on Nevis. Mr. L. O’Reilly Lewis, Division Chief of the bank’s Economic Infrastructure Division, made the disclosure at a meeting with Hon. 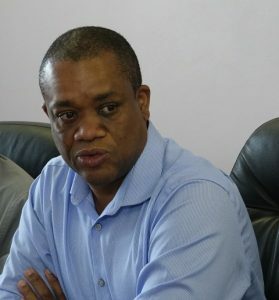 Spencer Brand, Minister in the Nevis Island Administration (NIA) and other officials on April 19, 2018. “We are particularly interested in the energy sector. We have past experience with the Nevis Electricity Company Limited (NEVLEC). We have done funding for some of the generators and we were also involved in the transformation of NEVLEC from a government department to an autonomous business entity. “We know that you have several initiatives going both in conventional and renewable energy and we are interested to know if there is any opportunity for us to partner with you or to assist in any way and generally to deepen our engagement with your team,” he said. In an invited response, Hon. Mark Brantley, Premier of Nevis and Minister of Public Utilities and Energy, welcomed the CDB’s interest. “We welcome this outreach by the CDB which has been a solid partner for the Nevis Island Administration over the years. “We certainly look forward to working further with the CDB on critical public projects of this kind,” he said.